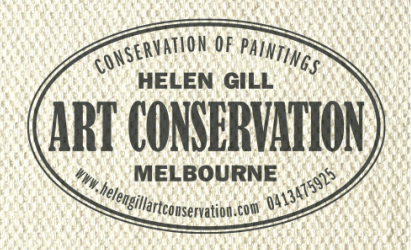 Links - Helen Gill Art Conservation - Conservation of paintings, Melbourne. The National Gallery of Victoria's (NGV) artist's colourmen database - a compilation of the occurrences of artist's colourmen stamps, stencils, labels and marks found on paintings in the NGV collection. A resource for study and interest. Neo Frames - Melbourne-based archival picture framing specialists.